lake•salt•knit: Desert Wraps E-book Now on Sale! I finally have all the patterns done and in an e-book for sale on Ravelry here. You can buy each pattern individually or all 15 in an e-book for half off. This has been such an amazing experience! My creativity and skill level has increased dramatically since May. I did more in four months than I ever thought I could. 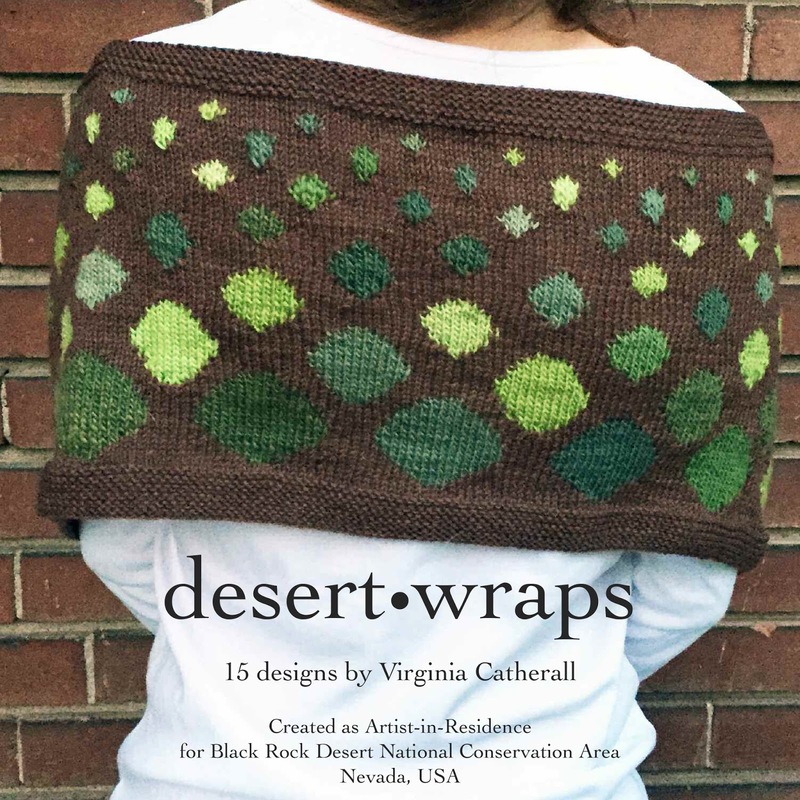 If you knit, I hope you like these patterns and I hope it spurs you to visit Black Rock Desert. It is a one-of-a-kind landscape that will always be a special place for me. Hey Ya'll...I could hardly believe when I stumbled across you! How fun it has been to go through all your creations and hear how they inspired. Our Family lived in Cache Valley for over 14 years and I do miss it. The Country here is amazing, Forests and Trees right up to your Backyard. Different after High Desert Life. Just wanted to let ya know how great everything is. In particular the "Miracle of the Gills Baby Sweater"!! Absolutely Cute!! We are going to be Gran Parents again in December. Our youngest Daughter is having her first. They are stationed over in Italy, a bit far, but thought I'd make this little sweater and fly it over to her by a friend headed that way. I'll visit your Blog again soon. Hope you and your Family have a Great Fall! I am so glad you found me. I hope you like knitting the baby sweater! If you are on Ravelry, I would love to see pictures of it. I too, love living in Utah. I just want to say how much I LOVE your designs. Especially from the Black Rock. I live near Reno and your shawl of Old Razorback made me cry. You captured it perfectly. I just wish I knitted! Do you plan on opening an Etsy shop? I would buy your things right away! Congratulations on your residency for Great Basin. I can't wait to see what you come up with. Hello, Thank you so much for your kind words. I loved my residency in Black Rock Desert! It is such a transformative space. I don't currently sell my finished objects although I am looking into it. But I do sell knitting patterns for people to make their own versions. I am looking forward to Great Basin, too!